DEAR JERRY: An all-music Internet radio station has infected me with an earworm. Great as talk-free radio is, it would be a big help if they provided a playlist. Some do, but not all. I heard a song only once, loved it and want to buy it. But I hope you can identify it for me. By a female singer, the story is about a bum and a bunch of monkeys on a bus. It has an old-time feel to it. The most repeated phrase, directed to an annoying passenger, is "keep your baggage on your own side." Might that be the title? —Veronica Beaumont, Terre Haute, Ind. DEAR VERONICA: No, but that line, with "packages" rather than baggage, is heard three times during this charming little track, and one might think it's the title. By Del Rey (guitar) and Suzy Thompson (fiddle), your mystery tune is "Bus Song," one of the highlights from their 2010 album, "Hen Party." One amusing "Bus Song" verse has the lout explaining to the driver that he shouldn't have to pay the fare because the route takes the bus right by his house anyway. DEAR JERRY: Apparently, no mention was made in the media about the death (Sept. 5) of Jackie Starke, but your readers should be interested in her passing. It is Starke, along with Dee Dee Sharpe (nee: Dione LaRue), singing those sweet yeah-yeahs and whoa-whoas on many of Bobby Rydell's Cameo hits. Among those are "Wild One"; "Sway"; "Swingin' School"; "We Got Love"; and "Volare." It was also in those days that my band, LeRoy & His Rockin' Fellers, recorded for Cameo. Last year, you were kind enough to write about our first single, "River Nile" (Cameo 194). Several years ago, while entertaining the folks at the ManorCare Nursing Home in West Reading, Pa., I discovered Jackie was living there, after having numerous strokes. I returned a few times just to visit with her, always with my guitar and singing some Bobby Rydell songs. Then I'd jokingly say "Sounds just like Bobby," to which she invariably replied, "Nooooooo!" Jackie died at ManorCare, at the age of 73. DEAR LEE: It is good to hear from you again, even if the news is not so good. I have passed the story on to Dee Dee and Bobby, who, like most of us, may not have heard about Jackie. I know she appreciated your visits. Thank you for sharing the story. DEAR JERRY: Our local oldies station played Fats Domino's "Blueberry Hill," then said it was one of the Top 20 Songs of the 20th Century, according to the Record Industry Association of America. So what are the other 19? While I admit "Blueberry Hill" is an essential oldie, how could it possibly rank alongside such mega-hits as "Rock Around the Clock"; "Yesterday"; and "Don't Be Cruel"? —Vinnie Bonaldi, Staten Island, N.Y.
DEAR VINNIE: If "Blueberry Hill" seems miscast in this category, then get ready to question up to half of the Top 20. Also, of the three you mentioned, only "Rock Around the Clock" made their list. Most of these have been recorded by more than one artist, but this is based on the song itself, not who performed it. Somewhat peculiar is that only five titles on the list originated (words and music) during the second half of the century: "Respect"; "American Pie"; "You've Lost That Lovin' Feelin'"; "(We're Gonna) Rock Around the Clock"; and "(I Can't Get No) Satisfaction." The selections overall seem to indicate an average age of voters to be, shall we say, beyond even the baby boomer generation. 1. "You've Lost That Lovin' Feelin'"
5. "Can't Take My Eyes Off You"
6. "Sitting on the Dock of the Bay"
8. "Baby, I Need Your Loving"
9. "Rhythm of the Rain"
10. "Georgia on My Mind"
11. "Killing Me Softly with His Song"
13. "I Will Always Love You"
14. "When a Man Loves A Woman"
15. "Every Breath You Take"
16. "Gentle on My Mind"
18. "The Sound of Silence"
19. "Bridge Over Troubled Water"
20. "By the Time I Get to Phoenix"
"You've Lost That Lovin' Feelin'" is the only song to appear in both the RIAA and BMI Top 20. 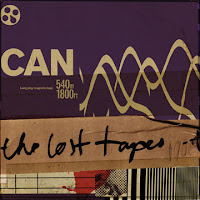 Mute and Spoon are delighted to announce that, due to phenomenal demand, Can’s The Lost Tapes will be released as a 5 LP box set on 180g vinyl on December 4th, 2012. The Lost Tapes was curated by Irmin Schmidt and Daniel Miller, compiled by Irmin Schmidt and Jono Podmore and edited by Jono Podmore. The vinyl issue of The Lost Tapes will come with a 24” square poster and a 28 page booklet with sleeve notes by Irmin Schmidt and Ian Harrison. ‘Lost Tapes’ were discovered when the legendary Can studio in Weilerswist was sold to the German Rock N Pop Museum. The new owners sentimentally preserved everything, including the army mattresses that covered the walls for sound protection, and relocated it to Gronau. Whilst dismantling the studio, master tapes were found and stored in the Spoon archive. With barely legible labeling, no one was sure what was on these until Irmin Schmidt and long time collaborator Jono Podmore started to go through over fifty hours of music. What they found was years of archived material--not outtakes, but rather tracks which had been shelved for a variety of reasons – soundtracks to films that were never released and tracks that didn’t make it onto the final versions of albums due to space. 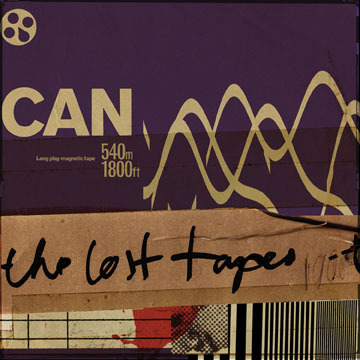 Can was formed by ex-student of Stockhausen Irmin Schmidt, who, fired by the sounds of Jimi Hendrix and Frank Zappa abandoned his career in classic music to form a group which could utilise and transcend all boundaries of ethnic, electronic experimental and modern classical music. Can’s influence is well known and far-reaching and the impact they made on music is felt today as keenly as it ever has been. They themselves have always been impossible to classify and reflecting this, the scope of artists who in recent years have cited Can as a major influence is varied from John Lydon to Radiohead, The Fall to Portishead. Richard Hawley: "Can are impossible to classify and its impossible to ignore their seismic influence on so many diverse musical paths, I'm so glad what was lost has been found"
Mogwai’s Stuart Braithwaite: "I can honestly say that there isn't another band who sound like Can. Their music was of a future that we haven't yet arrived at. Influencing people with their ambition more than just music we're incredibly lucky to have found even more of their music to wonder at. God bless Can." New Order’s Stephen Morris: "Can are the most revolutionary band ever, hearing Monster Movie for the first time was like stepping into another world. You Doo Right is the reason I took up the drums in the first place. It's not a song, it's a journey. I love everything they have ever done." Wild Beasts’ Tom Fleming: "Can are, along with very few others, what I consider to be the zenith of how a group can play together; loose and sensuous, but tightly coiled and always ready to go off; academically trained but gloriously, beautifully casual. I'm not at all surprised that unheard-of recordings exist, they sound like they just did it, every day." Factory Floor’s Gabe Gurnsey: "Can is pure escapism. I have great memories of driving back through the British countryside after FF recording sessions listening to 'Oh Yeah' over and over, dancing to 'I Want More' in the early hours and wishing I'd written 'Quantum Physics'. Repetition is the platform for free thinking, something we try to mirror in Factory Floor." With a phenomenal canon of work that includes Tago Mago, which celebrated its 40th Anniversary in 2011, The Lost Tapes is an opportunity to hear unreleased material from this iconic band – whoever thought that would be possible? "Inspired by…Elvis Costello, and backed by brilliant East Village friends of Rufus, Antony and such, Sage hits somewhere between the bed-sit and the cellarful of noise and it does you good." MPress Records label founder and singer-songwriter Rachael Sage announces gorgeous new limited edition vinyl package of her milestone 10th studio recording Haunted By You, on November 18, 2012. In celebration of this vinyl release, Sage will haunt New York at a special Halloween show (10/31, City Winery). Praised by iTunes as a “leap forward in both musical and emotional power,” the short-run vinyl edition of Haunted By You features exclusive artwork by Oliver Cartwright as well as graphic design by Sage. The eye-catching package features tracks mastered specifically for vinyl by Masterdisk, pressed on purple vinyl; a digital download of the full album is also included. 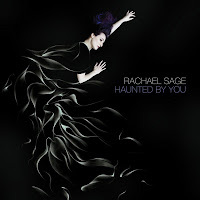 A landmark album in Sage's career, Haunted By You is a metaphoric tour de force of sophisticated pop, brimming with melodies. Self-produced by Sage and mixed by Grammy® Winner Kevin Killen and Grammy® Nominee John Shyloski, the album features guest performances by Dar Williams, Counting Crows member David Immergluck and actor/director Joshua Leonard. Sage is currently on tour over the U.S., U.K., and Ireland.Official CMJ performance on October 17th at Rockwood Music Hall in New York as well as ongoing shows with legendary acts Judy Collins & Al Stewart. 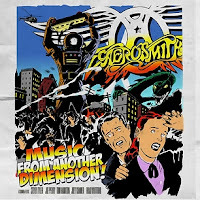 RollingStone.com will be premiering Aerosmith's Music From Another Dimension! album, one track at a time, in the weeks leading up to the November 6th release. 6. Godspeed You! Black Emperor - Allelujah! Don't Bend! Ascend! 10. The Beatles - Love Me Do 7"
17. Fox Fun - Squawk 7"
18. Ex-Cult - MPD 7"